Do you struggle to get your blood sugar levels under control? Are you worried about having to increase your medication or even having to inject insulin? Type 2 Diabetes does not have to be a disease that gets worse over time. It is possible to keep your blood sugar under control by eating the right things. Contrary to the outdated advice that many UK health professionals are giving, a diabetes diet is not the same as a healthy eating or weight loss diet. The problem for diabetics is that the body has difficulty keeping blood sugar levels down. Sugar in the blood comes from the food that we eat. The foods that turn into different types of sugar as soon as they reach the stomach are called carbohydrates. This means sugar (as in sugary drinks, fruit juice, sweets) and starch (as in bread, pasta, rice and potatoes). The science shows that avoiding these foods can improve blood sugar levels and halt the progression of diabetes. If you would like some help and guidance with controlling blood sugar levels with your diet, then contact me on 07758 100727, or use the contact form at the top of the page. 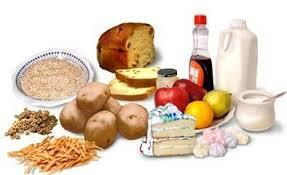 Avoiding the carbohydrates that raise your blood sugar decreases your need for medication to lower it. 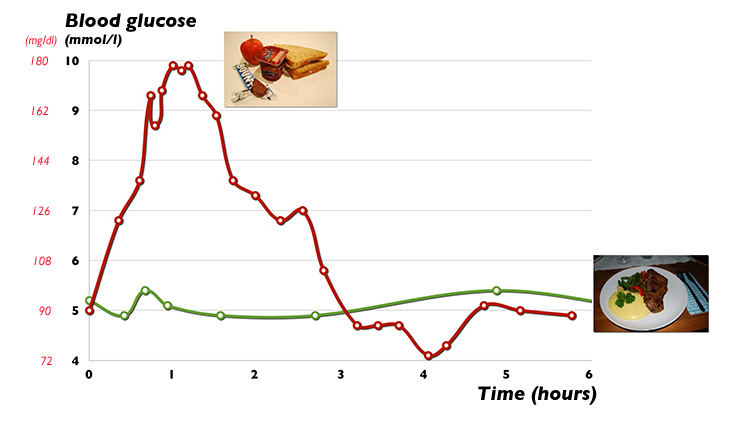 Taking the same pre-low-carb diet dose of insulin might result in hypoglycemia (low blood sugar). You need to test your blood sugar frequently when starting this diet and adapt (lower) your medication. This should ideally be done with the assistance of your doctor or diabetes nurse. If you’re healthy or a diabetic treated either by diet alone or just with Metformin there is no risk of hypoglycemia.